St John is known as the most "laid-back" of the three U. S. Virgin Islands, a reputation that might surprise some considering the island's sometimes turbulent past. The first Danish colonists arrived from St Thomas in 1718. Sugar plantations quickly dotted the landscape and by 1733 there were 1,097 slaves owned by only 208 colonists. In November of that year the slaves revolted and attacked Fort Berg, killing the garrison stationed there. By May 1734, troop reinforcements arrived and many of the slaves were killed or committed suicide to avoid capture. The decline of the plantations began in 1848 with the emancipation of the slaves, and the island grew increasingly quiet until the 1950s when entrepreneur Laurence Rockefeller fell in love with its beauty and purchased more than half. He built himself a secluded retreat and donated the remaining 5000 acres to the government to keep in trust. 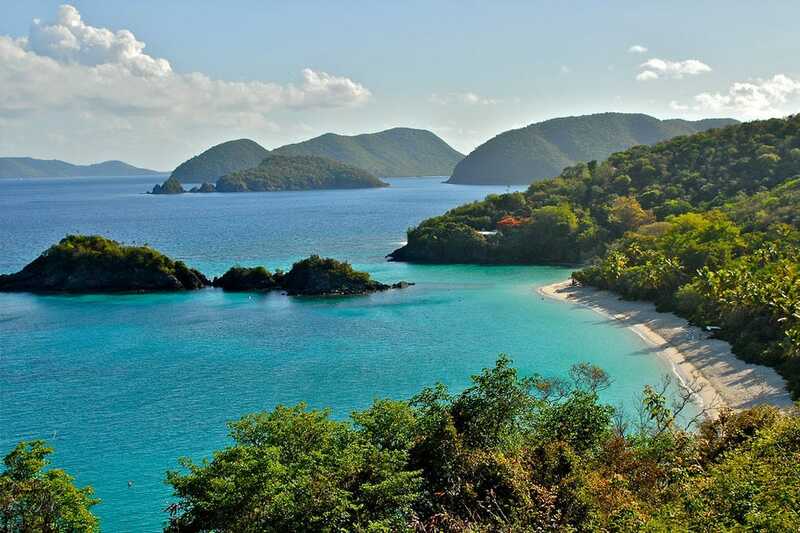 Today, more than two-thirds of St John is part of the U. S. Virgin Islands National Park, a Mecca for adventurous eco-tourists from around the world.